Having grown up in the north of England I soon grew to love the natural beauty of the country on the borders of Scotland. My father was an excellent artist but due to shortages after the war I never really had the opportunity to explore my artistic ability. 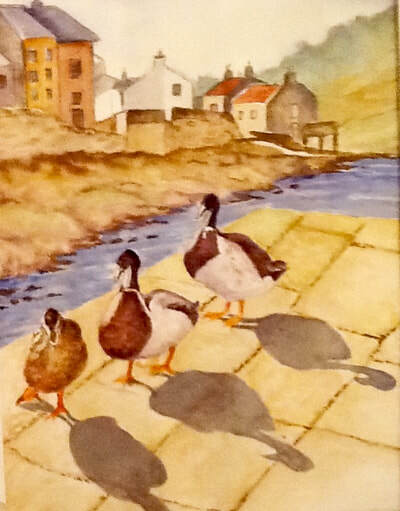 It was not until my boys were grown up that I enrolled in a beginners watercolour class. 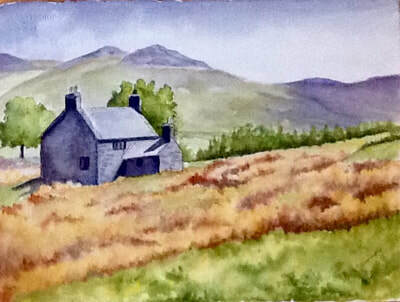 Since then I have explored various mediums but am most comfortable with Watercolours and oils. 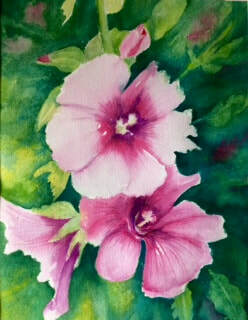 Lately I have been enjoying the surprise element of watercolour batiks and find the process very enjoyable. I would consider myself to be a representational artist rather than an absolute realist. 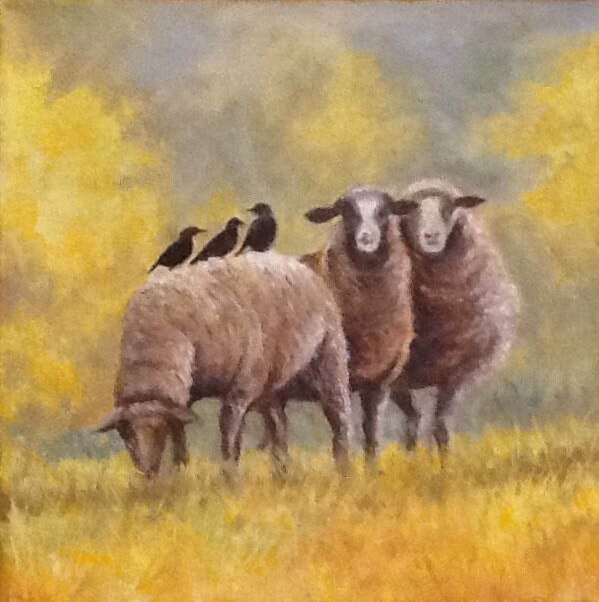 I paint a large variety of subject matter depending on the medium I use. Art has become a large enjoyable part of my life and each new canvas or watercolour paper presents a new exciting challenge! 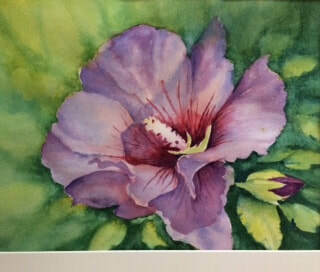 ROSE OF SHARON, Watercolour, 16"x20"